If you recognise this person, please call RCMP at 250-364-2566. 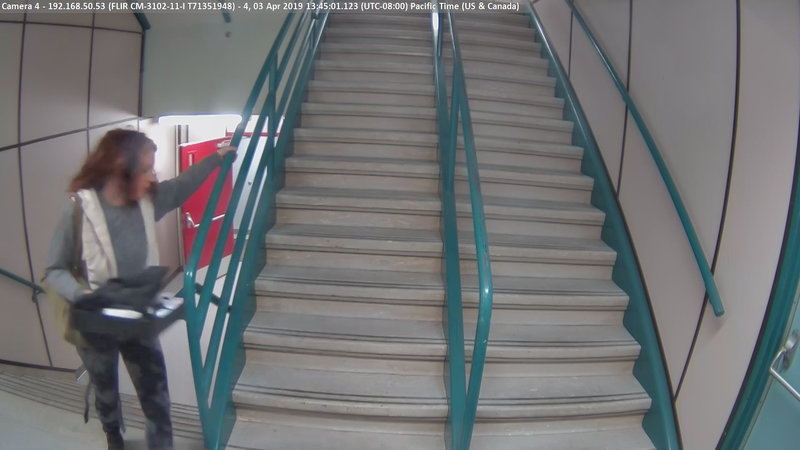 On April 3, a cash box containing approximately $100 was stolen from the Senior's Centre at Selkirk College, located in downtown Trail, according to Trail top cop, RCMP Sgt. Mike Wicentowich. "The suspect is a single Caucasian female who is approximately 25-years-old, stocky, with blond hair. The Trail and Greater District RCMP Detachment are looking for assistance from the public in identifying the female suspect in the attached photograph." "Selkirk College, due to the fact it's in downtown Trail with an open building, has encountered some difficulties with people abusing the premises," Wicewntowich said, adding the college has reported cases of public drunkenness, fighting, drug consumption, thefts and more. "We're trying to help them deal with that." Please contact the Trail and Greater District Detachment RCMP at 250-364-2566 if you have any information about this crime or, if you wish to remain anonymous, contact CRIMESTOPPERS at 1-800-222-TIPS (8477).